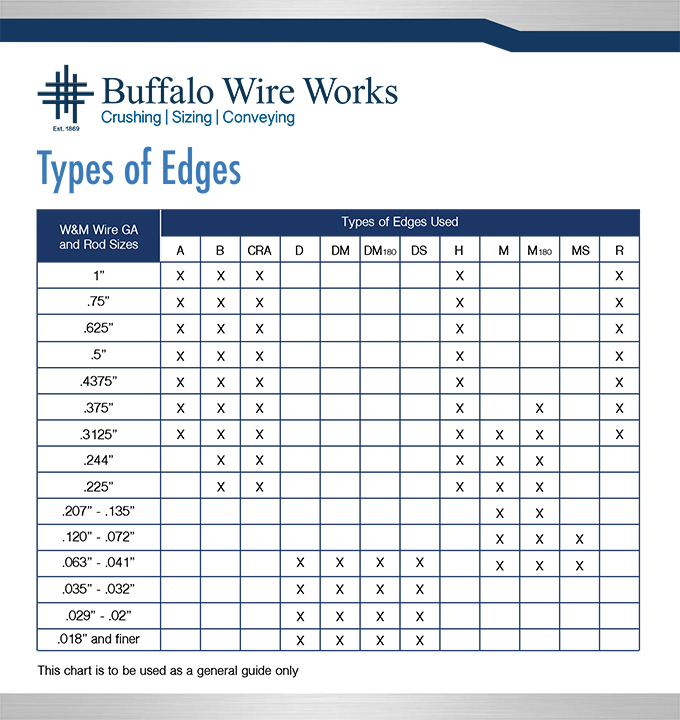 Buffalo Wire Works offers a variety of hook types to serve your unique needs. 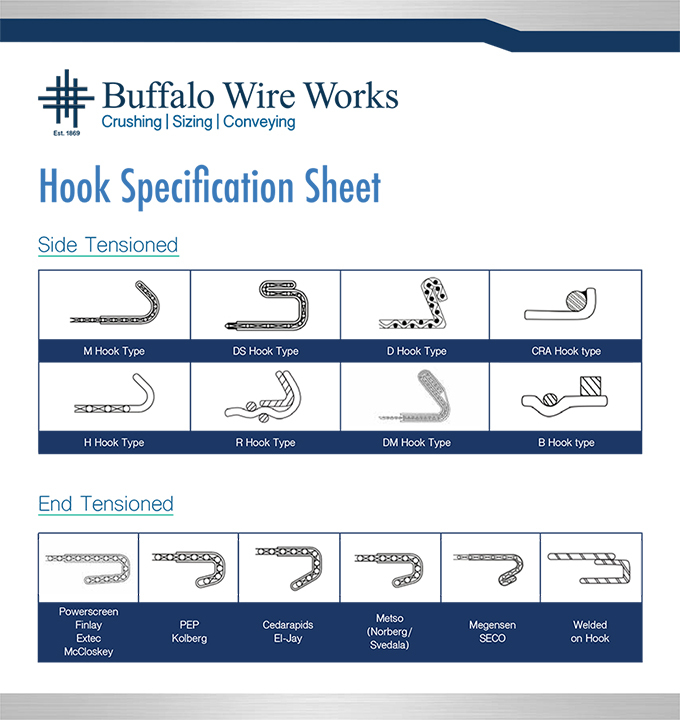 Please see the specification sheet below to better understand the hook types we offer. Proper screen size and tensioning are critical for the perfect fit. All hooks fit OEM machines as well as customer specific designs. Depending on the wire diameter of your screen, our knowledgeable sales team will select the best hook to optimize your screen life.